This addition is an outdoors camp surrounded by a small fence or palisade. Useful for adventurers finding refuge during a long road, only to be attacked while resting the night. 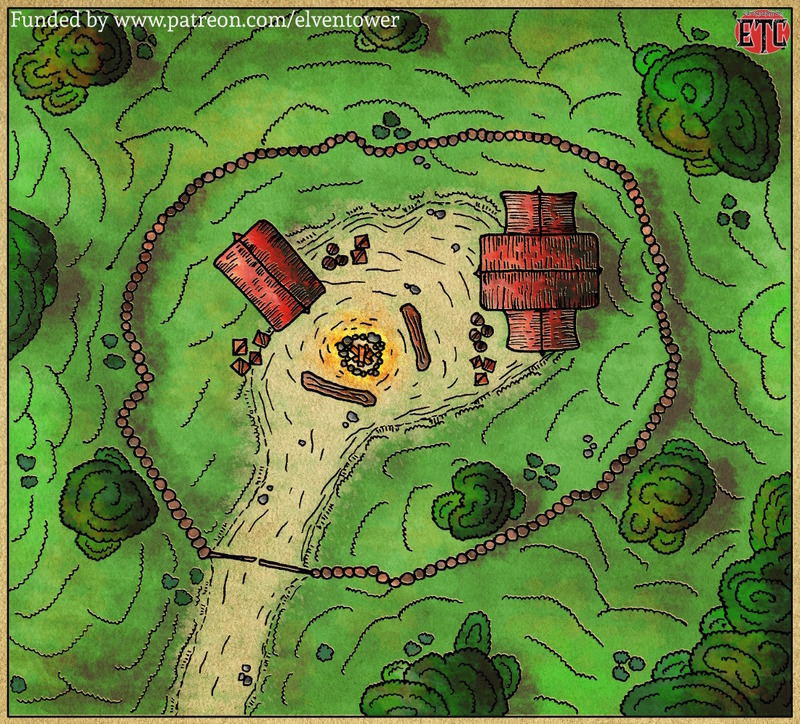 Or alternatively, this could be a bandit’s camp that the adventurers need to infiltrate or directly attack.